To celebrate our turning back towards the sun, I made this 'analemma' bookmark. In the idealised picture, each point marks the position of the sun at midday above London on the first day of the month (January being 1 and so on). The figure of eight is due to the elliptical path of the Earth about the sun and the tilt of the Earth's axis. 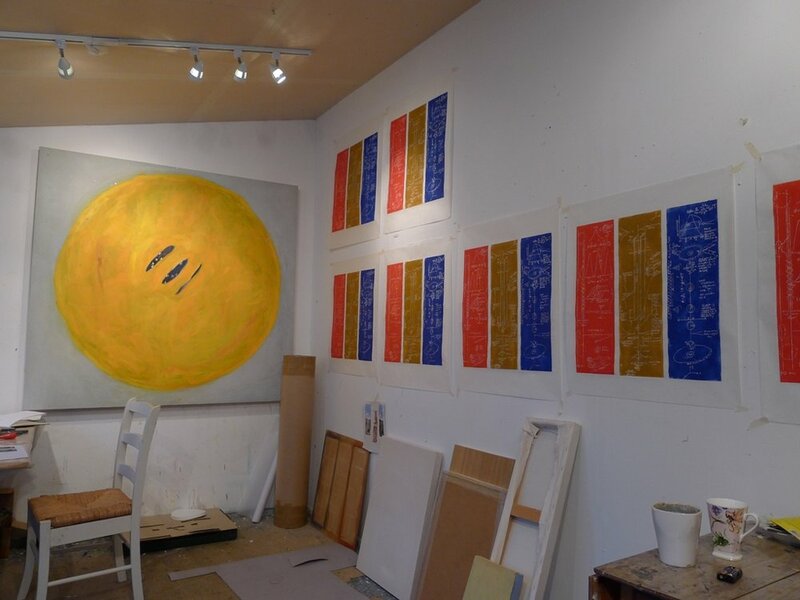 And below - rows of freshly made print triptychs basking in the homemade sunshine of the 'Apple Pie' painting.